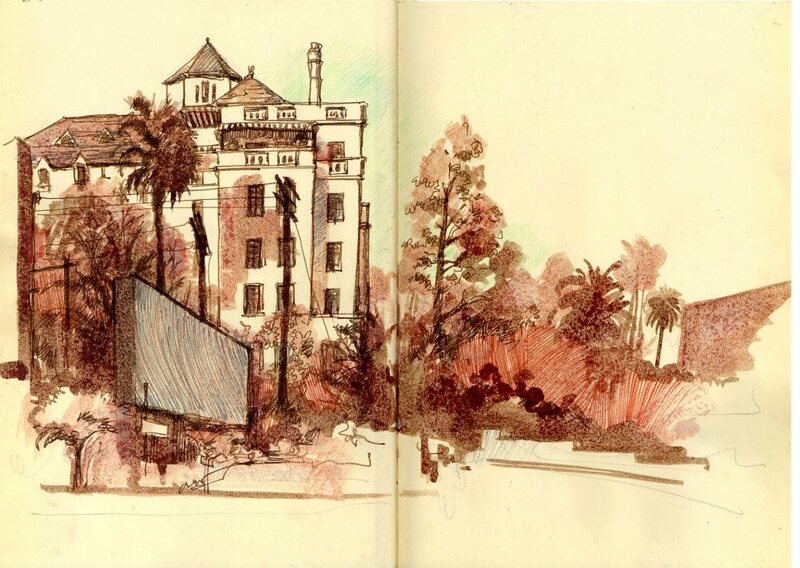 This is the Maramont Hotel on Sunset Strip. I really enjoyed this one on account that I was able to do most of the drawing in a bar called the Den. This is the first bar in LA that I have ever felt an affinity with.